September is the best month for renovating a lawn after harsh summer weather. Fertilizing the lawn in September is critical for developing healthy root systems, the best defense against the heat and drought of summer. Longfellow’s recommends applying a high phosphorus fertilizer in September, and a winterizer (high nitrogen) in November. When reseeding, apply the grass seed at half the rate of a new lawn. It must be done by early October in order for the seed to germinate and grow enough before a hard freeze. Organic matter is an essential component of a healthy soil, even for the lawn. Longfellow’s recommends Milorganite as a slow release organic fertilizer with iron. Though it only offers small amounts of OM, the benefits are obvious in the first season. Apply Cotton Burr Compost lightly to increase the OM levels of the soil. The most important fall lawn activity is aeration. It allows air, water, and nutrition to penetrate deeply into the soil where the roots will benefit. Success can be increased by attentive watering, the use of root stimulator and compost at the time of planting, and proper mulching. Planted too late – Mums need to be well rooted going into the winter. 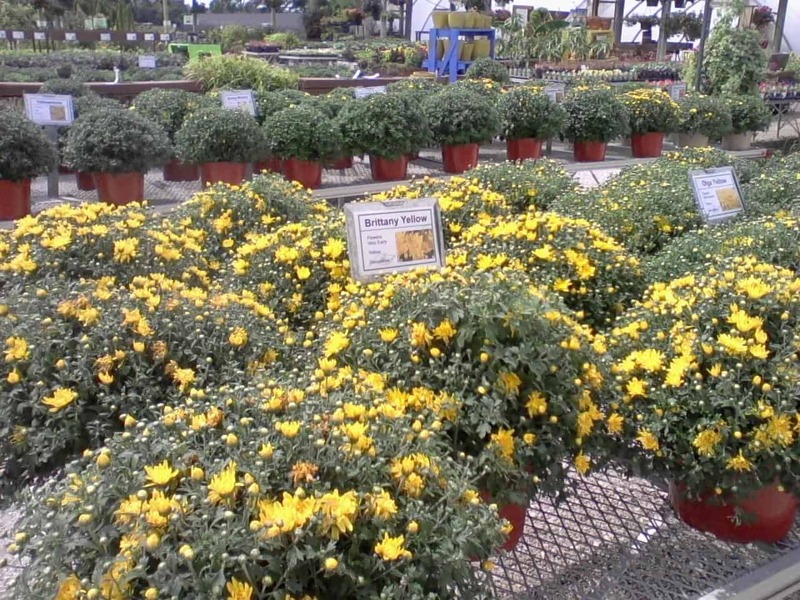 Planting mums before Sept 15 is necessary for survival. Good Soil Drainage in Winter – Mums need a well drained soil. If wet for long periods around the root system during winter, the root systems may die. Planting on a slight slope and adding organic matter to the soil improves drainage. Mulching/Winter Protection – Apply 2″ of mulch around the mum late in November (about Thanksgiving). Also, leaving the old foliage in place provides winter protection. Either or both activities will work. Sudden Freezes in Early Spring – New growth is showing up early in spring, but a hard freeze comes along and kills the forming shoots. It seems to happen more often than not. 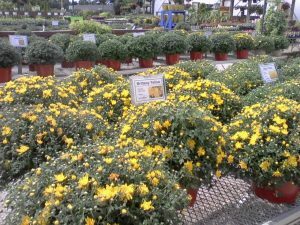 Mums do need to be uncovered and/or cut back about mid-March, but be prepared to recover if a sudden or prolonged cold spell is predicted. Mums need 6 hours or more of sunlight every day. Fertilize at the time of planting with Fertilome Blooming and Rooting. Pinch or cut back new growth up until July 15 to delay blooms until the cooler weather of fall and to maintain a compact habit. Fertilize in spring with Osmocote.